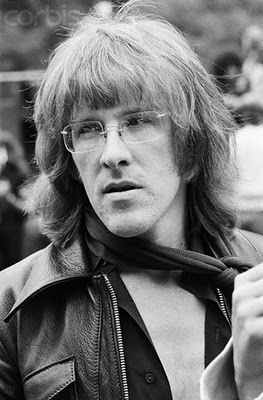 Paul Kantner, rhythm guitarist, songwriter, and the leader of Jefferson Airplane and later Jefferson Starship, died on January 28 2016 at the age of 74. The cause was multiple organ failure and septic shock following a heart attack he had a few days beforehand. Paul Kantner was born on March 17 1941 in San Francisco, California. His mother died when he was only eight years old. He was initially educated by the Christian Brothers and then later a Jesuit school in Santa Clara, California. It was while he was attending Santa Clara University and later San Jose State College that he taught himself both guitar and banjo. He left school to begin performing on the San Francisco folk music circuit. It was when he was performing at The Drinking Gourd in San Francisco in 1965 that he met Marty Balin. Together they formed the band Jefferson Airplane. Its original line up consisted of lead vocalist Signe Toly Anderson, guitarist Jorma Kaukonen, drummer Jerry Peloquin, and bassist Bob Harvey. As Jefferson Airplane made their name in the San Francisco area, there would be some changes. The group drifted away from their original folk rock sound to a more electric sound. Jerry Peloquin left the band to be replaced by Skip Spence and then Spencer Dryden. Bob Harvey was replaced by Jack Casady. Jefferson Airplane's first album, Jefferson Airplane Takes Off, was released on August 15 1966. The album only went to no. 128 on the Billboard albums chart. None of the singles hit the Billboard Hot 100. Signe Toly Anderson left Jefferson Airplane following the birth of her first child and three months after the release of Jefferson Airplane Takes Off. She was replaced by Grace Slick, whose earlier band, The Great Society, had often supported Jefferson Airplane. In fact, Jefferson Airplane's first two major hits were inherited from The Great Society. "Somebody to Love" had originally been recorded by The Great Society, but had little impact outside the Bay Area. Recorded by Jefferson Airplane, it went to no. 5 on the Billboard Hot 100. "White Rabbit" had been performed by The Great Society, but had never been recorded. Jefferson Airplane's version went to no. 8 on the Billboard Hot 100. The band's second album, Surrealistic Pillow, went to no. 3 on the Billboard album chart. Jefferson Airplane never saw another single with the success of "Somebody to Love" or "White Rabbit", although the band's albums continued to do well. From the late Sixties into the early Seventies, Jefferson Airplane's albums always made the top twenty of the Billboard album chart, with Crown of Creation reaching no. 6. While still part of Jefferson Airplane, Paul Kantner did other work as well. In 1969 he played with fellow Airplane members Jorma Kaukonen and bassist Jack Casady's blues band Hot Tuna. In 1970 Paul Kantner and Grace Slick recorded the concept album Blows Against the Empire under the name "Paul Kantner and the Jefferson Starship". The album did very well, reaching no. 20 on the Billboard album chart. Paul Kantner and Grace Slick released two more albums together in the early Seventies: Sunfighter in 1971 and Baron von Tollbooth and the Chrome Nun in 1973. Jefferson Airplane was the only band to play at all three of the major music festivals of the late Sixties: the Monterey Pop Festival in 1967, as well as Woodstock and Altamont in 1969. Unfortunately by the late Sixties tension had developed within the band. Spencer Dryden was voted out of the band in 1970. He was replaced by Joey Covington. Marty Balin left the band in 1971 following the death of his friend Janis Joplin. While it was never formally announced, Jefferson Airplane more or less ceased to exist in late 1972 after two shows at Winterland in San Francisco on September 21 and September 22. It was in 1974 that Paul Kantner, Grace Slick, and David Freiberg (formerly of Quicksilver Messenger Service) formed Jefferson Starship, the band's name taken from the ad hoc group of musicians on Paul Kantner and Grace Slick's album Blows Against the Empire. While Marty Balin contributed the song "Caroline" to the band's first album, Dragon Fly, he would not formally join the band until early 1975. Jefferson Starship proved very successful in the Seventies. Their debut album went to no. 11 on the Billboard album chart. Their second album, Red Octopus, went to no. 1. Their third album Earth and their fourth album Freedom at Point Zero went to no. 5 and 11 respectively. The band also saw some success with their singles, with "Miracles" going to no. 3 and other singles reaching the top ten. The band would see some changes over time. Grace Slick was forced to resign from the band in 1978, while Marty Balin left in 1978. Grace Slick returned to the band in 1981. While all of this was taking place Jefferson Starship began to move away from the progressive rock and psychedelia of earlier albums towards a more commercial sound. At the same time their albums did not perform as well. Modern Times and Winds of Change only peaked at no. 26, while Nuclear Furniture only peaked at no. 28. Paul Kantner eventually came to the conclusion that the band had become too commercial and left Jefferson Starship in 1984. At the same time he took legal action to prevent the band from continuing to use the names "Jefferson Starship" or "Jefferson Airplane". Paul Kantner won the suit and as a result the band had to continue under the name "Starship". In 1983 Mr. Kantner released his last solo album Planet Earth Rock and Roll Orchestra. Paul Kantner then formed the KBC Band with Marty Balin and Jack Casady. The KBC Band released only one eponymous album in 1986. From 1987 to 1988 he played with Hot Tuna. In 1989 Jefferson Airplane reunited for a tour and a new, self-titled album. While the tour did well, the album was only a moderate success. It was in 1992 that Paul Kantner formed Jefferson Starship--the Next Generation, known informally as "Jefferson Starship". Both Jack Casady and Marty Balin would be members of the new band. This new version of Jefferson Starship would release two albums: Windows of Heaven in 1998 and Jefferson's Tree of Liberty in 2008. As the leader of both Jefferson Airplane and Jefferson Starship, Paul Kantner had an enormous impact on rock music. He wrote a number of songs for both bands, some of which number among their best known: "The Ballad of You and Me and Pooneil", "Crown of Creation", "Volunteers", and "Ride the Tiger". He played a large role in Jefferson Airplane's move to psychedelia in the late Sixties and later he was responsible for the progressive sound of Jefferson Starship. Indeed, it is probably no coincidence that Starship sounded considerably different from Jefferson Starship, let alone Jefferson Airplane. Indeed, following Paul Kantner's death Mickey Hart of The Grateful Dead said of him,, "He was kind of the backbone of that band. It was always about Grace and Jack and Jorma, I don’t think he got the credit he deserved." It was sixty years ago tonight, on January 28 1956, that Elvis Presley made his debut on national broadcast network television. It was on the variety show Stage Show hosted by big band leaders Tommy and Jimmy Dorsey. It aired on CBS at 8:00 Eastern/7:00 Central on Saturday night. Elvis Presley was introduced by disc jockey Bill Randle of Cleveland, Ohio. He performed three songs: "Shake, Rattle and Roll", "Flip, Flop and Fly" and "I Got a Woman". This was not Elvis Presley's last appearance on Stage Show. He appeared five more times: on February 4 1956, February 11 1956, February 18 1956, March 17 1956, and March 24 1956. On the February 11, March 17, and March 24 editions of Stage Show he performed his hit "Heartbreak Hotel". The song had been released only the day before Elvis's historic first appearance on Stage Show, on January 27 1956. Without further ado, here is Elvis Presley's first appearance on national broadcast network television. Abe Vigoda, best known for playing Detective Phil Fish on the classic TV sitcom Barney Miller and who also appeared in the movie The Godfather as gangster Salvatore Tessio, died on January 26 2016 at the age of 94. Abe Vigoda was born on February 24 1921 in Brooklyn, New York. His parents (Samuel Vigoda, who was a tailor, and the former Lena Moses) were Jewish immigrants from Russia. Abe had two brothers, Hy and Bill. Bill Vigoda would become famous in his own right as a comic book artist who worked for Archie Comics for literally decades. Abe Vigoda began acting while in his teens, working with the American Theatre Wing. He turned professional in 1947 and appeared frequently on stage for the next two decades. In 1949 he made his television debut in an episode of the classic anthology series Suspense. In 1949 he also appeared in an episode of Studio One. In 1951 he appeared in an episode of All-Star Revue. The Sixties saw Abe Vigoda very busy on stage. He appeared in the off Broadway productions Shadow of Heroes, The Cherry Orchard, A Darker Flower, and The Cat and the Canary. He made his Broadway debut in 1967 in The Persecution and Assassination of Jean-Paul Marat as Performed by the Inmates of the Asylum of Charenton Under the Direction of the Marquis de Sade. He went on to appear in the productions The Man in the Glass Booth and Inquest. On television he appeared in three episodes of the Gothic horror soap opera Dark Shadows. He made his film debut in Trois chambres à Manhattan in 1965. The Seventies saw Abe Vigoda become a household name. It was in 1972 that he appeared as Tessio in The Godfather. He reprised the part in The Godfather: Part II (1974). During the decade he also appeared in the films The Don Is Dead (1973), Newman's Law (1974), and The Cheap Detective (1978). It was in 1974 that he first appeared in his best known role, that of Phil Fish on Barney Miller Fish proved to be one of the most popular characters on the show, if not the most popular. The character was eventually spun off into his own short lived series, Fish. On television in the Seventies Abe Vigoda also appeared on the shows Mannix; Love, American Style; The Rookies; Toma; Hawaii Five-O; Kojak; Cannon; The Bionic Woman; Vega$; The Rockford Files; The Love Boat; and Fantasy Island. He appeared on Broadway in Tough to Get Help in 1972. In the Eighties Mr. Vigoda had recurring roles on the soap operas As the World Turns and Santa Bararba. He appeared on the shows Harper Valley P.T.A., Mike Hammer, Tales from the Darkside, Superboy, B. L. Stryker, Monsters, and MacGyver. He appeared in the films Cannonball Run II (1984), The Stuff (1985), Vasectomy: A Delicate Matter (1986), Plain Clothes (1987), Look Who's Talking (1989), Prancer (1989), Keaton's Cop (1990), and Joe Versus the Volcano (1990). He appeared on Broadway as Jonathan Brewster in a revival of Arsenic and Old Lace. In the Nineties Mr. Vigoda appeared in the films Fist of Honour (1993), Me and the Kid (1993), Home of Angels (1994), The Misery Brothers (1995), Jury Duty (1995), Underworld (1996), Love Is All There Is (1996), Me and the Gods (1997), Good Burger (1997), A Brooklyn State of Mind (1998), Just the Ticket (1999), and Chump Change (2000). He provided the voice of Salvatore Valestra in the animated feature Batman: Mask of the Phantasm (1993). He guest starred on the shows Murder, She Wrote; Diagnosis Murder; Law & Order; Weird Science; Wings; Touched by an Angel; Promised Land; Mad About You; and Norm. From the Naughts into the Teens he guest starred on the show Deadline and was a guest voice on High School USA!. He appeared in the films Crime Spree (2003), Frankie the Squirrel (2007), and Sweet Destiny (2014). Curiously for a very prolific actor who was almost never absent from TV or movie screens from 1972 to 2001, Abe Vigoda was frequently plagued by reports of his death. It all began in 1982 when People magazine made the mistake of referring to him as "the late Abe Vigoda". While People corrected the error, the mistake persisted both among various media outlets and in the minds of ordinary people. In 1987 a reporter for WWOR in Secaucus, New Jersey made the same mistake. She corrected it the very next day. Abe Vigoda took the death rumours all in stride, even having a bit of fun with them once in a while. In a famous skit from The Late Show with David Letterman, David Letterman tried to summon the ghost of Abe Vigoda, only to have the very much living Abe Vigoda show up and tell him, "I’m not dead yet, you pinhead." On Late Night with Conan O'Brien, Conan O'Brien consistently used Abe Vigoda in skits just to discredit the rumours of his death. Abe Vigoda will probably always be bet remembered as Phil Fish from Barney Miller and Fish. The elderly, grumpy, laconic detective was perhaps the most popular character on Barney Miller and quite possibly one of the most popular characters of all time. Much of this is perhaps because Mr. Vigoda played the role perfectly. Even though he was only 53 when he first played Fish, Abe Vigoda was entirely convincing as a character who was apparently much older. Of course, while Abe Vigoda may always be most famous as Fish, he played a number of different roles in his career. He was an extremely versatile actor. Including the cunning yet earnest Tessio from The Godfather he played a number of mobsters in the Seventies. Despite some of his rather gritty roles in Seventies movies and films, Abe Vigoda was also very adept at comedy. He played an elderly fast food worker in Good Burger and grandfatherly figures in yet other comedies (such as Look Who's Talking and North). On stage he played murderous brother Thomas Brewster in Arsenic and Old Lace. Abe Vigoda was a wonderful actor who played every part he was ever given very well. It was 90 years ago today, on January 26 1926,that the first public demonstration of live television took place. It was held at the laboratory of Scottish scientist John Logie Baird at 22 Frith Street in Soho, London. Mr. Baird had developed the first mechanical television, a device through which video could be generated by means of a rotating mechanism. The demonstration was held before members of the Royal Institution and a reporter from The Times. John Logie Baird's demonstration was simple. It was a transmission of the face of Mr. Baird's business partner Oliver Hutchinson. At the time Oliver Hutchinson was in an entirely different room. The picture was small, only 3.5 by 2 inches. The image was also often blurry and faint. That having been said, the demonstration proved that John Logie Baird had achieved something that had never been done before--the transmission of image and sound at a distance. Television was born. John Logie Baird continued to work on his mechanical television after this initial demonstration. In 1927 he transmitted an image through the telephone line from London to Glasgow, some 438 miles. After founding the Baird Television Development Company Ltd he made the first television transmission across the Atlantic, from London to Hartsdale, New York. That same year he made the first colour television transmission. Mr. Baird was responsible for the BBC's first television programme ever. In fact, from 1929 to 1937 the BBC relied upon John Logie Baird's 30 line system. In 1929 he introduced the first mass produced television set. With Bernard Natan he founded France's first television company, Télévision-Baird-Natan, in 1929. In 1939 he made the first live broadcast of the Epsom Derby. Unfortunately John Logie Baird's mechanical television would soon become obsolete. The Thirties saw the development of electronic television. Mr. Baird's mechanical system had more limited range than electronic television, and tended to be less practical as well. After a trial run in 1936 the BBC then decided to go with Marconi-EMI's electronic system over John Logie Baird's mechanical one in 1937. Despite this John Logie Baird did not leave the field of television. In 1939 he demonstrated colour television utilising a spinning disc similar to the system later developed by American broadcaster CBS. In 1944 he gave the first ever demonstration of a fully electronic colour television system. Sadly John Logie Baird died relatively young, before he could make any more advances in the field of television. He died on June 14th 1946 after suffering a stroke. Mr. Baird was only 57 years old. 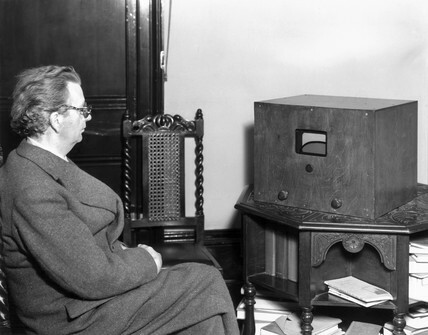 While the mechanical television that John Logie Baird demonstrated ninety years ago today would eventually fall out of favour, that demonstration was still a pivotal moment in the history of television. It proved that the transmission of images and sounds was possible. As a result it paved the way for the electronic, analogue television that would dominate the medium in the 20th Century, as well as our digital systems today.